Saet Group. Protect your world. Italian excellency in the field of integrated security systems and automation. 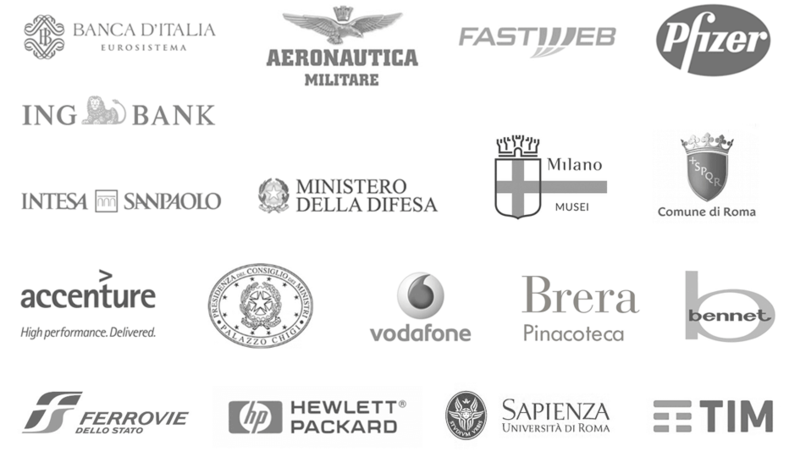 The strength of the Saet Group resides in the synergy between Headquarters SAET I.S., the Milan and Rome offices, and the network of representatives. The Saet Group focuses on different markets: from personal and housing security, to industrial, banking and airport sectors. Technological automation and security solutions and expertise in the field enable the Saet Group to meet all requirements in terms of security and control. We develop specific product lines to meet the multiple requirements of the different markets. Professionalism, work ethic and dedication to customer satisfaction are the common denominator in all projects and products made by Saet Group companies. Numerous clients rely on the Saet Group to secure and automate their businesses. We serve banks, military and telecommunications sectors, mass retailers, museums and university campuses, public prominent buildings, hospitals, transport, logistics and big companies. Are you a professional installer, a design studio, a private or a security manager? Choose your sector and contact us, we will provide the right solution for your needs. Are you a professional installer of security systems? Do you want to become a SAET dealer? Saet is constantly looking to evaluate and train professional installers in the field of security and automation to increase its dealer network. Are you already a Security & Energy Manager? An experienced and skilled Saet consultant will be happy to help you select a range of suitable solutions for the security of your business and staff, as well as integrated solutions for the automation and efficiency of the building. Do you want to to protect your home, shop, or business with an integrated security system? The Saet network of representatives works to meet the needs of individuals and small businesses. Request the advice of a technician to advise you on the best security solutions for your needs. Are you a design firm? Saet and its representatives support the activities of design firms with a variety of advice at every stage of the project: risk analysis, technical feasibility and technical-economic quantification of the project. Find the dealer nearest to you. Whatever your security needs, our consultants will help you find the ideal security solution with professionalism and experience. Are you an Security Manager? Fill the form below.